Where is Melbourne's Best High Tea? If you're looking for a fancy way to spend an afternoon, then you really can't look past a High Tea. With so many places all over Melbourne offering this dainty meal, it can be hard to sort the good from the bad. We've got a few ideas of some great places to try, but we want your opinions on where we can enjoy the best High Tea in Melbourne. The newly re-opened Myer Mural Hall has to be one of the most elegant High Tea locations. 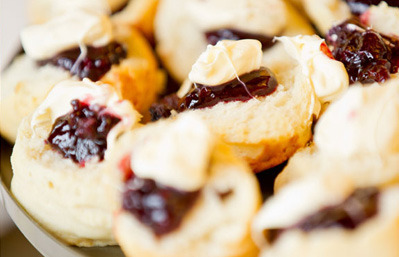 Dine on scones, macarons, sandwiches, and dainty cakes, while enjoying the luxurious surroundings and fine china. You'll start your high tea with a glass of sparkling, and end it feeling full but very refined. This high tea is at the pricier end of the list, but at $70 per person you can expect to be pampered. Perfect for special occasions like birthdays, baby showers, and bridal parties. The Emerald Peacock put a twist on the classic high tea, renaming it the Girls Picnic. Enjoy their refreshing peach ice tea, as well as sandwiches, cupcakes, and macarons. 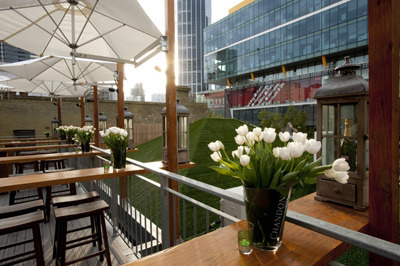 This is a great way to escape for the afternoon, whilst remaining in the middle of the city. Madame Brussels also favours the outdoors with their Garden Parties taking the place of High Tea on the menu. This delight will set you back $38 per head. You'll enjoy all those old fashioned sandwiches like pickles and ham, curried egg, and chicken and cucumber. To get the garden party started, of course you'll also have to enjoy a jug of PIMMS. There are many more worthy places that we're sure some will mention. You might enjoy High Tea at one of Melbourne's fanciest hotels, or prefer smaller cafes to enjoy your dainty treats. High tea can range anywhere from $25 to $100, but each one provides a lovely experience. Have you tried one that just ticks all the boxes? You could try High Tea at The Grand Hyatt, The Hyatt Park Hotel, Jaqueline's Tea Room, Mamor Chocolates, the Royal Botanical Gardens, the Stamford Plaza, or the Tea Room at the National Gallery of Victoria. Do any of these places make the top of your list, or have you discovered somewhere else that really takes the cake. 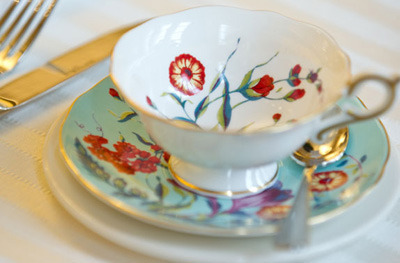 Tell us about your most elegant high tea experience, and where you think we can find Melbourne's best high tea. Hopetown Tea Rooms in the block arcade... the best ever. Some options definitely aren't on the cheap end of town! I think that between $29 and $35 is a great price range. Anything over that and they're reserved for very special occasions in my book. We love the sororal for high tea, really relaxed and lovely. Also the langham is great, they chocolate dip their strawberries so they are wearing teeny little chocolate tuxedos - too cute. Death by chocolate at the Windsor on Sunday's and if you are venturing beyond Australia - the best high tea in the world is at raffles hotel in singapore. You MUST try it if you are there. Where a girl goes in Collingwood, yummy!! The most exquisite high tea I have ever had is at Mamor Chocolate Salon in Johnston Street, Collingwood. It is decadent, elegant, extravagant and incredibly delicious - everything is baked fresh on the day on site and the chocolates at the end are to die for and all handmade on the premises. The Windsor Hotel's offering looks fantastic - dainty cakes, lovely pastries, silver stands. And it's a lovely old world hotel. But at $59 it's definitely not a cheap option! I just have to mention a bad experience with High Tea this afternoon. We went to the Rendezvous Hotel in Flinders St. No ambience; we faced a dark servery and the table top had chisel marks in it. The 8 sandwiches were colorless and unimaginative, the 2 scones were accompanied by insuffucient jam and cream and the rest was all macaroons, cup cakes and a lamington cut in half. We had almost finished and were still waiting for tea or coffee. We eventually had to go in search of staff and ask for it. Cutlery consisted of a very large knife and fork. Windsor Hotel for tea is best, but it is the most expensive. The quality and service of the Windsor is spectacular. Tea at the NGV we have done three times, and I have not been able to fault anything there. The Langham has the most marvellous chicken sandwiches in their high tea. The best high tea I have had so far is at the Windsor Hotel. I went on a weekend so there was a full dessert buffet which was just amazing. The quality of food and service was fantastic. It is best to be seated in the restaurant than one of the ballrooms, which they convert into seating space when it is busy. 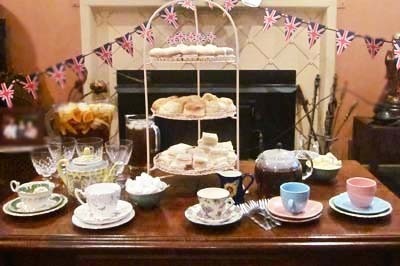 Compared to the Windsor, the Langham Hotel high tea was disappointing. There was much less variety and the ambience and service was nowhere as good. Although I do agree that their chicken sandwiches were pretty good. Yes, another vote for Mamor. Handmade chocolates. Yum! Where A Girl Goes, the flagship store of Cristina Re in Collingwood, Melbourne. I'm trying high tea in a new wool shop in Fitzroy tomorrow. So excited! The best I've had is at the Sofitel in the CBD. It was one of the first I tried and nothing's quite lived up to it yet. Another good one for a really special occasion is the Langham's Burch & Purchese high tea. Anything B&P is automatically a level up from anything else! 2.30pm. PLUS THE SAPPHIRE STRING QUARTET playing BAROQUE masters. Free CHAMPS to start. $30.Bookings essential. 97832877, 97837358. Country Women's Association in Lansell Rd Toorak put on High Tea. In this exceptional setting of a period mansion in a treed lined location; the setting in the dining room to enjoy a truly unforgettable High Tea is worth your visit. You are looked after by the most wonderful people and wait; the table settings then the selection of food. A true hidden gem.